Saturday, July 16th, 2016, 2:00-4:00 p.m.
Elise Hopkins Stephens joins us Saturday with her new biography of Galveston’s Kempner family. 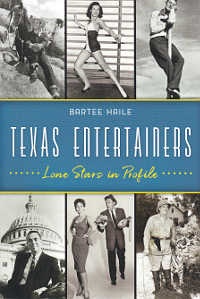 Much has been written about the Kempner family of Galveston, Texas, and their business, civic and philanthropic accomplishments, but these histories have focused on the accomplishments of the men. 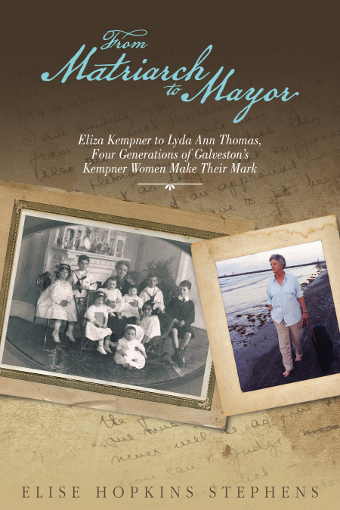 Now, “From Matriarch to Mayor: Eliza Kempner to Lyda Ann Thomas, Four Generations of Galveston’s Kempner Women Make their Mark” brings the strong Kempner women into the light and shows their role in the family’s impact. Author Elise H. Stephens provides the individual stories of four generations of Kempner women whose strength and commitment transformed their community as their men were building the Imperial Sugar Company and the Kempner Fund. From philanthropy to volunteer work, each of these women was eager to use her talents in service to city, state and country. Anecdotes, letters, journal entries and personal photographs illustrate the importance of the women and provide insight into the Kempners’ traditions and beliefs, their way of life and the often-dramatic times in which they lived. Stephens presents over a dozen of the women―some calm and collected, some bold and brash, all fascinating. 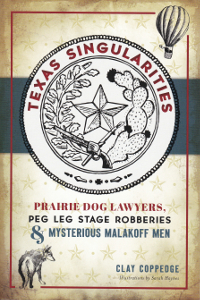 As new generations of this strong family emerge as mainstays of Galveston, Texas and beyond, this well-researched and engaging history creates a window into both the formation and the perpetuation of a significant dynasty.